In the age of social media, the power of a site like YouTube is undeniable. Some people manage to make their living at crafting, reviewing video games, teaching aerobic routines, and everything in between. Still, videos are also often posted as a flash in the pan – a funny moment or a tearful memory that goes viral. By now, I’m sure you might have seen one of the many videos that started this outcry over Huggies brand wipes in particular. California-based mother Melissa Estrella examines different types of Huggies-brand wipes, including Huggies Cucumber wipes, which appear to be covered with deposits of tiny, glass-like particles. "It's kind of hard to see in the angle I'm in," she says, about a minute into the video. "But if you see all that stuff shining, those are all glass shards." The dozens of posts that followed have been viewed and shared literally thousands of times, forcing Huggies to address the situation, but not recall. 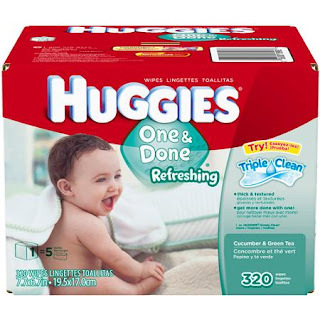 Until recently, the only response Huggies officially made was to deny a recall of the wipes, and a small blurb wayyyyyy down in the FAQ section. I had to skim through the equivalent of many pages of text to find this, somewhat vague and unsatisfactory, remark. I have noticed crystals and gel in the diapers. What are these materials, and are they harmful? The crystals and gel are super-absorbent materials that offer significant benefits: drawing wetness away from baby's skin, as well as helping to keep baby's skin healthy. In Huggies® diapers, super-absorbent material is mixed with the diaper padding, turning liquid into a gel to help prevent leakage. You may occasionally see small beads of gel on the diaper or on your baby, but the gel is nontoxic and not harmful. The safety of super-absorbent material has been proven in over 450 consumer safety tests studying every which way a person could come in contact with it. My name is Eleonora and I am responsible for the Huggies Brand. As a mother myself, nothing is a higher priority than the wellbeing of the families who use our products, the safety of our products and the trust of parents who purchase our products. We at Huggies take this responsibility seriously, and recognizing that there has been a great deal of discussion regarding Huggies wipes, I want to share a few key facts. We have now received the comprehensive analysis completed by the independent testing firm, McCrone Associates Inc., of the wipes that were returned to us. - We can confirm NO glass or fiberglass was present. - We found only microfibers used to manufacture our baby wipes. - A shimmer can be caused by the microfibers reflecting light. In extremely rare occasions, the manufacturing process can cause tiny particles of microfiber to form on the wipe that can be felt, but do not present a safety risk. Additional information is provided below on this matter. Based on the findings of the independent testing, we are confident that our product is safe. If you have any concerns or questions about our products, I encourage you to contact Huggies Consumer Care at 1-888-485-6839 or http://bit.ly/8ZuAUH. Thank you. While it’s true that some products, even if they are for sensitive skin, may irritate some children, a mother’s instinct is always to protect her child. I threw out a bottle of baby body wash of which only a small portion had been used when it irritated my son, so I can understand why a parent might develop a dislike, or speak against a product that they consider harmful. Even if this statement is enough to convince you that the products are fine, subconsciously casual buyers might be slightly less likely to purchase their products in the future. If you were/ are a loyal Huggies user, you might also think twice, considering how little Huggies has done to dispel such serious accusations against their company. What do you think? Has the Huggies brand been tarnished? Have handled this situation properly? Will you buy their products in the future? Join the conversation on Facebook!